it is very big and very nice. It has every thing you need for a big family with kids. The owners were so lovely and apply for every request we had. We even brake (by mistake...) some vase and didn't even charge us. It was a great time for us. The house is just amazing ! Harmonie du lieu et accueil sans pareil; nous avons passé une semaine magnifique dans un lieu prestigieux. This 18th century farmhouse of 450sqm is located 2 kms away from St Rémy de Provence village center. 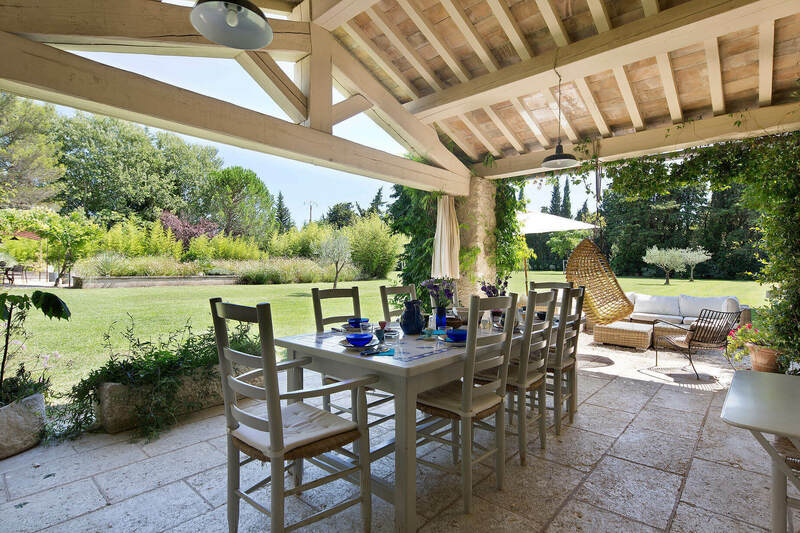 Protected by a large enclosed garden, the house features a large opened kitchen, a spacious living room with piano and fireplace and 5 double bedrooms. No air condition but thick walls and fans keep the hous efresh even in August. The long lap heated pool and the large lawns permit ball games. 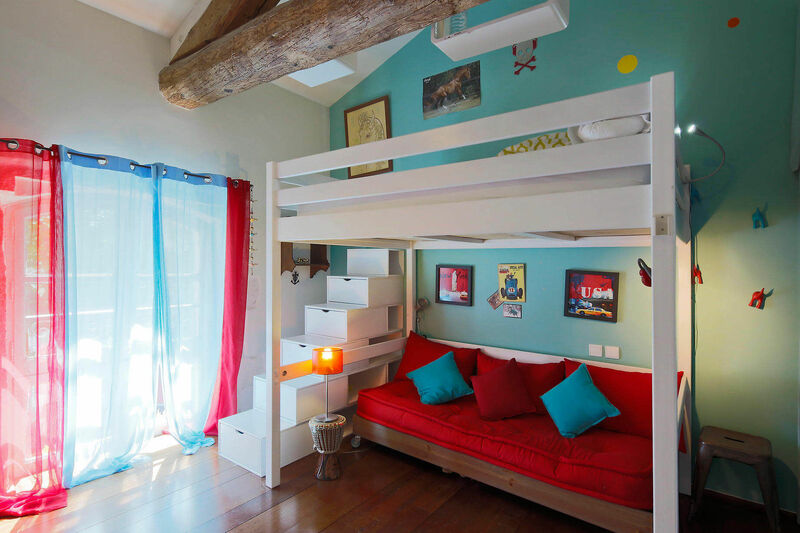 Recently renovated, the property is idéal for family with kids. 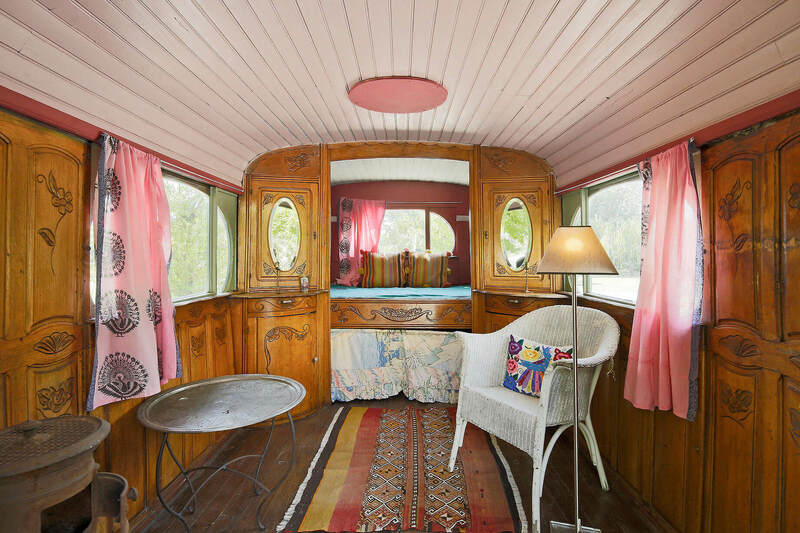 Girls and boys will be delighted to play in the Gypsy caravan situated at the front of the house. 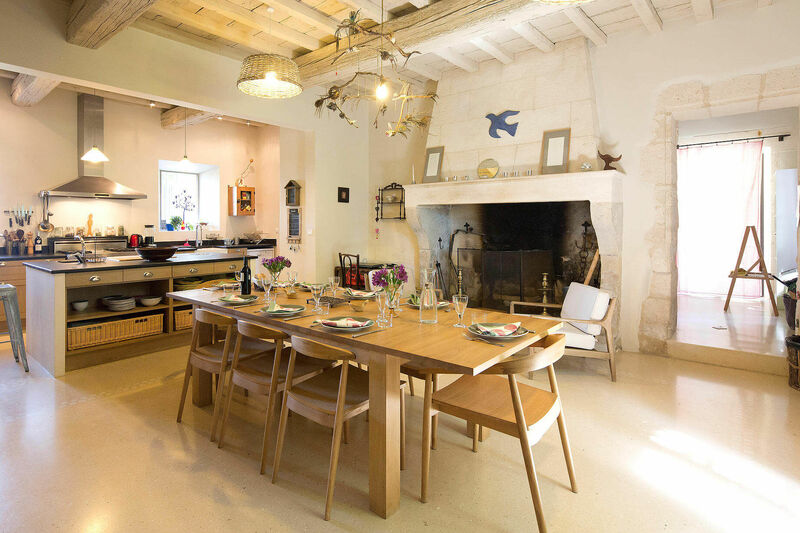 This newly renovated farmhouse can accomodate up to 12 guests. 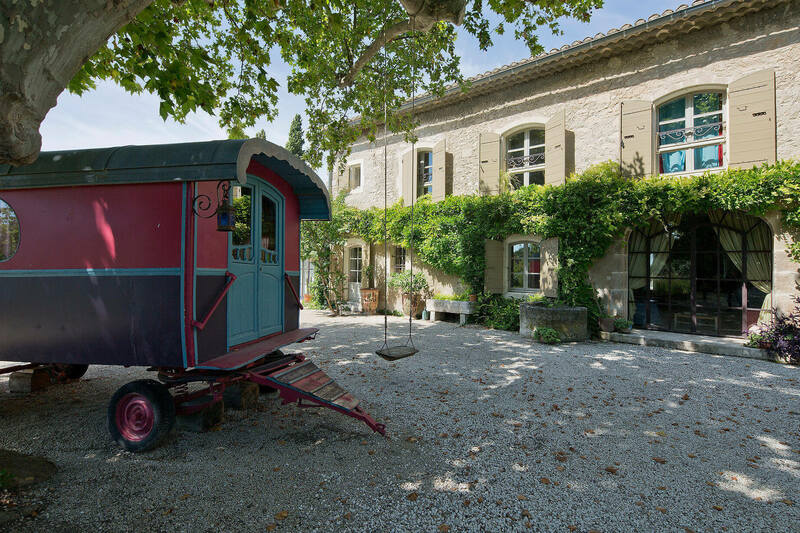 This authentic and bucolic provencal farmhouse is a haven of peace. 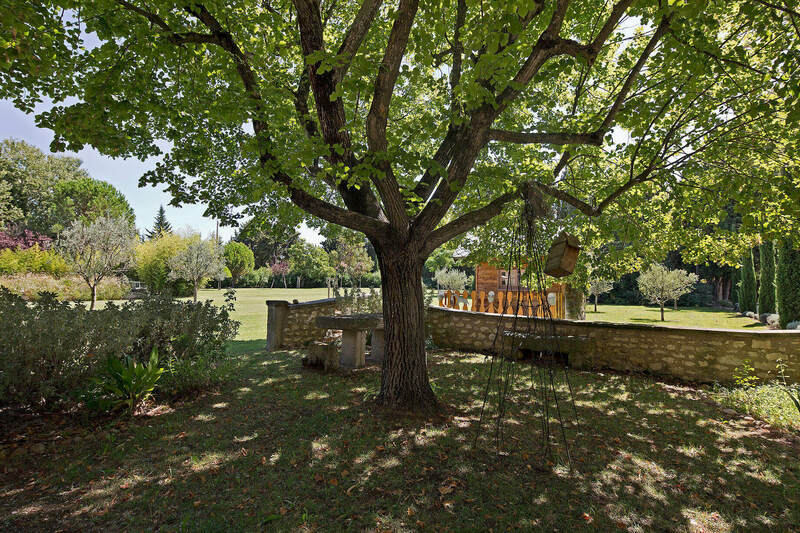 It is located 2 kms from the village of St Rémy de Provence, in a quiet and privileged neighborhood. 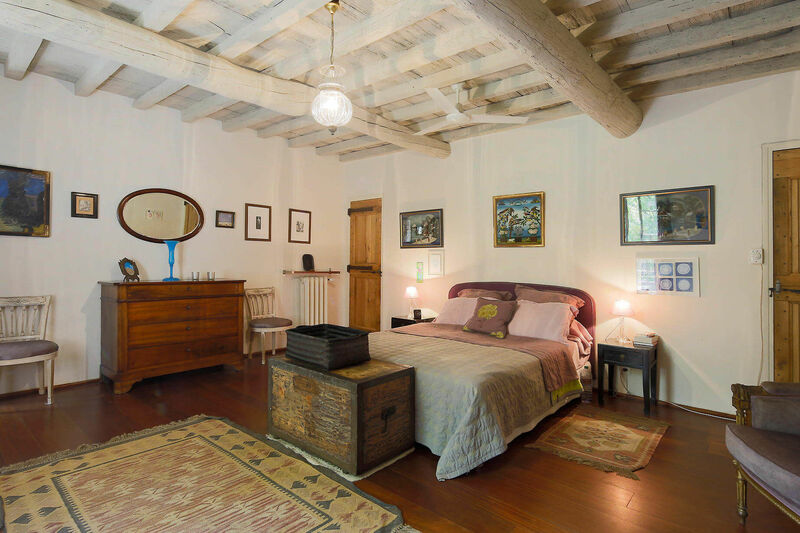 Not overlooked, this 18th century farmhouse of 450 sqm, has been magnificently refurbished. The house is built on 2 levels. It offers 5 bedrooms, a spacious kitchen, a large living room with fireplace and a piano, a small summer kitchen, a heated pool of dimension 14x6m and a beautiful large garden. Its capacity is 10 to 12 people. 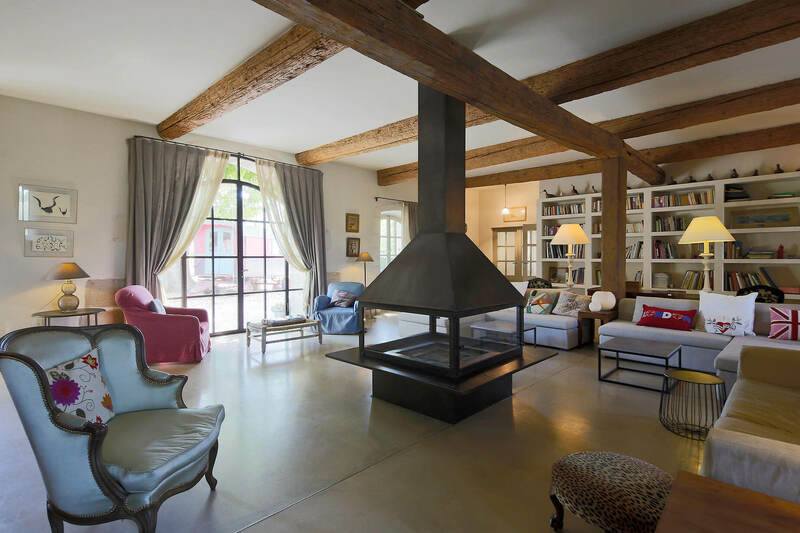 Subtle blend of ancient charm and modern comfort, the living areas are filled with sun light : the living room, central room of the house is very comfortable. The large pool is heated. Under umbrellas or under the shade of the pool house, in the gipsy caravan, everyone can find his spot. The village is reachable by bike within 10 minutes. 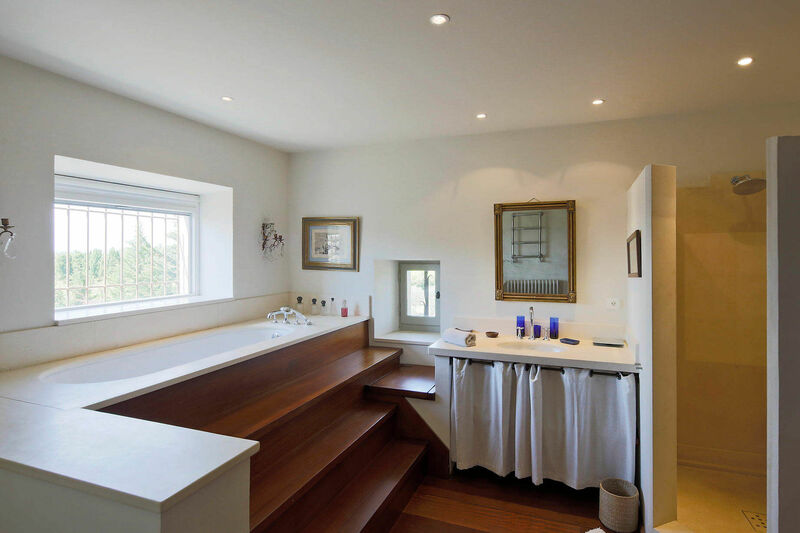 5 spacious bedrooms including a master with en-suite bathroom. 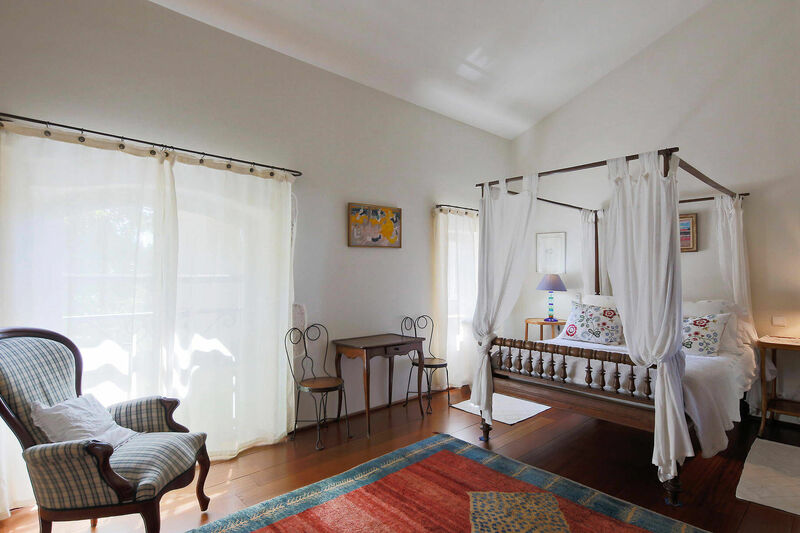 Each of the 5 bedrooms are nicely furnished. The kitchen is equipped with semi-professional equipment and is an invitation to gastronomy. 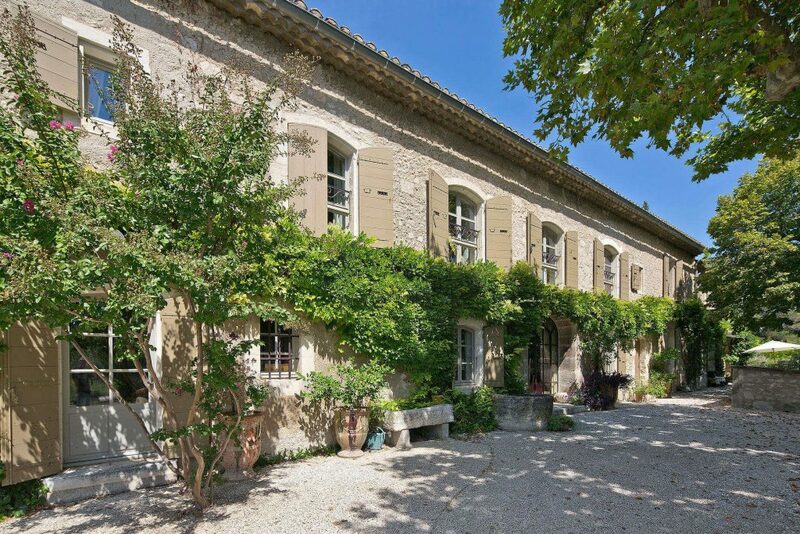 The hosts of this lovely home will be delighted to find this exclusive address 2 min drive to St Rémy de Provence, 20 min to Avignon and 45 min to Marseille international Airport.